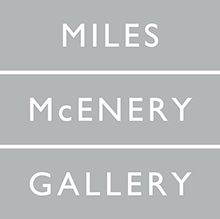 New York, New York- Ameringer | McEnery | Yohe is pleased to announce the opening of an exhibition of paintings by Gene Davis. 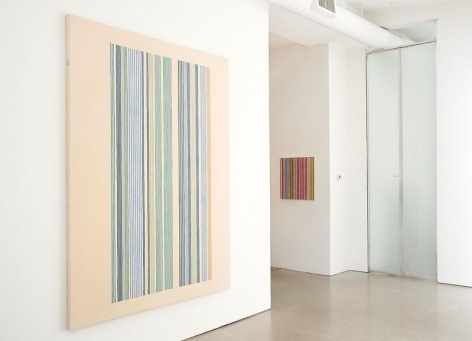 Gene Davis will open to the public June 3rd and be on view until July 17th. 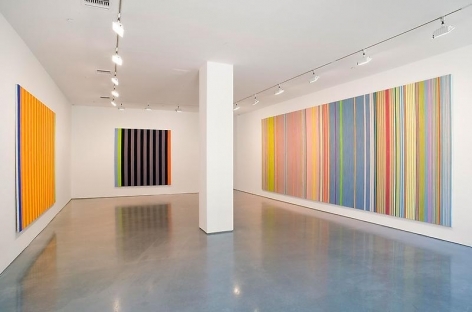 Gene Davis (1920-1985) is associated with the Washington Color School, established in Washington D.C. in the late 1950’s through the 1960’s along with Kenneth Noland and Morris Louis. 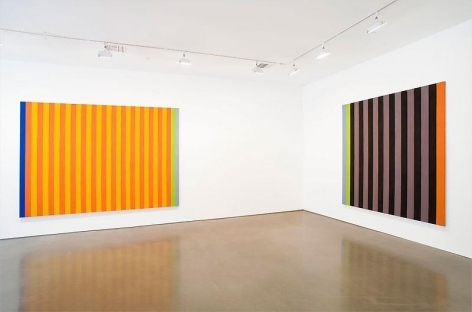 Part of the larger color field movement, the artists of the Washington Color School were identified in an exhibition entitled “Washington Color Painters”, shown at the Washington Gallery of Modern Art in 1965. 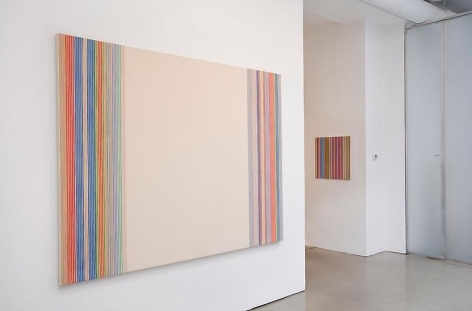 Known for minimal, orderly and colorful paintings using stripes, washes and single fields of colors, the group was largely dedicated to the formal use of color. 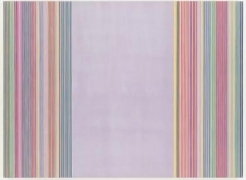 The stripe was to Gene Davis as the cruciform was to Reinhardt and for four decades it was a continuing source of invention in his painting. 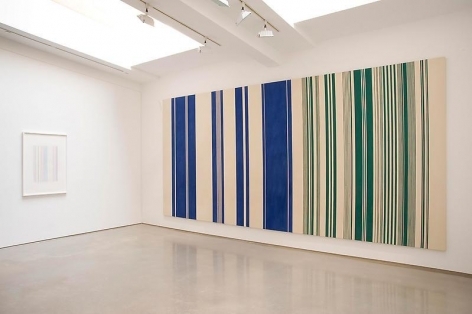 Davis played his color stripes like notes and cords on a piano, some are dominate, some are sharp, occasionally he adds an inharmonious dissonant or a singular grace note - an appoggiatura against which other colors in the painting are weighed. 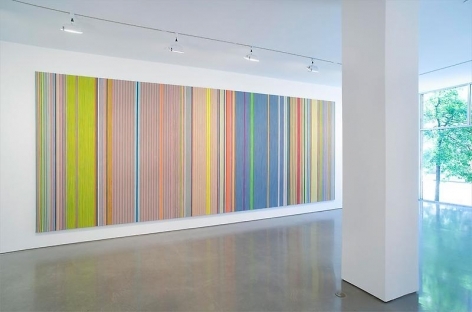 The eye scans his field of stripes, selecting first a single color and then chromatic groups. The improvisation of perpetually unfolding, overlapping, echoing, regrouping, unending complexity become a chromatic fugue. 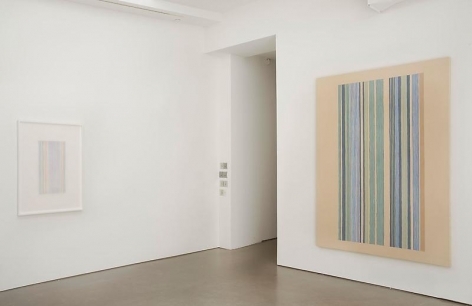 Gene Davis was included in seminal exhibitions during his lifetime including “Post Painterly Abstraction” at the Los Angeles County Museum of Art in 1964 curated by Clement Greenberg, and “The Responsive Eye” at the Museum of Modern Art in 1965 curated by William Seitz. Davis's work is represented in major public collections including the Whitney Museum of American Art, New York; Metropolitan Museum of Art, New York; Museum of Modern Art, New York; Solomon R. Guggenheim Museum of Art, New York; National Gallery of Art, Washington, D.C.; Smithsonian American Art Museum, Washington, D.C.; San Francisco Museum of Modern Art, California.